Brad Shelstad tended goal as if he were on a military drill team. Every movement was calculated and concise. It all looked so simple. “He wouldn’t look as good as the other goalie might because he would make it look so easy,” said Dennis Fermoyle, a fellow goaltender who graduated a year ahead of Shelstad at Minneapolis Southwest. “He would make the save, and he would never go down. His angles were fantastic, and he could do it all while standing up." 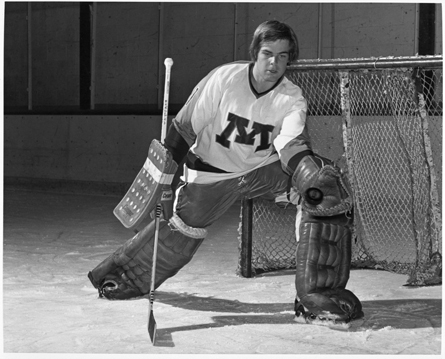 Shelstad stepped out of character – and flopped to the ice – in 1970 when he authored one of the most famous saves in state history. Neighbors and arch rivals Minneapolis Southwest and Edina were locked in a 0-0 tie late in the third period of the state title game. The duel between Shelstad and his Hornets counterpart, Larry Thayer, appeared as if it would last all night. With time running out in regulation, Edina superstar Bobby Krieger sprung loose for a breakaway. “If you wanted to pick a player to be going in a on breakaway, it would be Krieger,” said former longtime Hornets coach Willard Ikola. “He was trying to make the moves, and Shelstad went down and did the deck kind of thing with the pads stacked. “The puck hit right on top of the pad, so he made a good stop. But he was out of position for any kind of rebound. 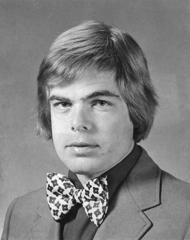 Bruce Carlson was trailing, and he got the puck. When he shot it went right over the top bar. Minneapolis Southwest’s Bill Shaw scored 6 minutes, 14 seconds into the overtime period to give the Indians their lone championship in 15 state tournament appearances. Shelstad said he has watched replays of Southwest’s 4-3 quarterfinal win over North St. Paul and 3-1 semifinal triumph over Hibbing. The epic win over Edina also was captured on videotape, then converted into a DVD. 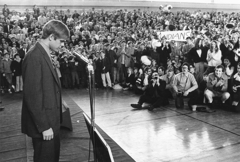 “This was before VHS, so maybe it was an administrator at the school recording the game using a ¾-inch reel-to-real tape recorder,” Shelstad said. “The finish of the game is gone. The last three minutes and the overtime, we don’t know of any existing source of that video. It just goes to snow. Ikola said he’s never seen a replay of the game, either. Not that he’s been anxious to replay it. The Hornets were, after all, 25-0 when they were stunned by Southwest. “Maybe someone from Edina cut those tapes, who knows?” Ikola said. Despite his brilliant performance in the title game, Shelstad, who allowed a combined four goals in the three state tournament games, wasn’t named to the 17-member all-tournament team. 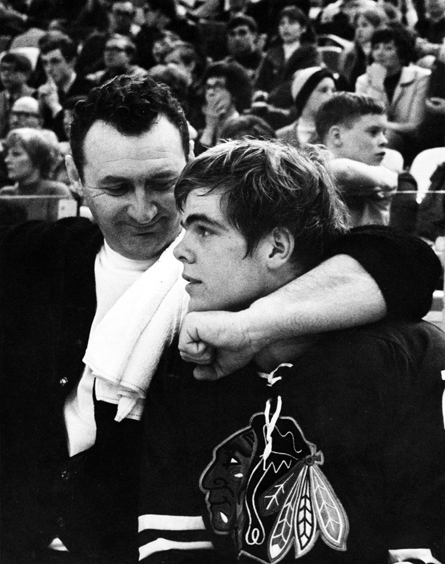 Shelstad's play does get the all-important stamp of approval from Ikola, who as a high school goalie led Eveleth to three state championships. Shelstad went on to play at the University of Minnesota, where he won a national title as a senior in 1974. 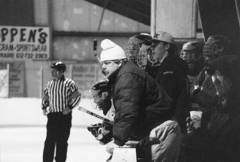 Shelstad coached high school hockey in New Prague and in Wadena, where he still lives and teaches.